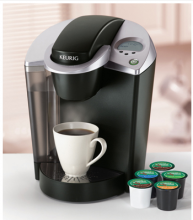 Here is how you can get a great deal on a Keurig at Kohl’s.com. The discounted prices won’t show up until you add the items to your shopping cart. I don’t factor in Kohl’s cash as part of the discounted price but I have included how much you would receive in Kohl’s Cash with your purchase. Here’s a great offer from Kohl’s and Barista Prima coffee. 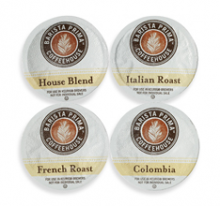 Get a FREE Barista Prima Coffeehouse K-Cup portion pack for your Keurig! I got a free sample pack from Barista Prima before and it’s really great coffee. Hurry over to Kohl’s to get your free sample pack! I have no idea how long this offer is going to last! Kohl’s will be opening at midnight for their Black Friday sale. This year they are offering $15 in Kohl’s cash for every $50 spent. This is normally $10 so they’ve increased that this year. The Kohl’s cash can be earned from Friday through Sunday and is redeemable from 11/28-12/5. Here’s a list of the top deals that will run from midnight Thursday through 1:00pm on Friday afternoon. Head over here to view their entire ad. 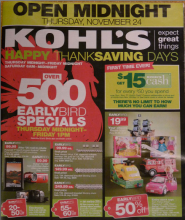 Stores Nov 12, 2011 in BlackFriday, Kohls · Expired! Here is a coupon to get 15% off your entire purchase at Kohl’s. Spend $100 or more and save 20% off your entire purchase. You can use this online or in stores. This offer is good now through June 19th. I really love Kohl’s. I’ve been finding some amazing deals in their clearance sections. Coupons Jun 16, 2011 in family, Kohls · Expired!